BRAZIL.CON FINANCING WITHOUT BUREAUCRACY FOR FOREIGNERS. Breathtaking apartment in the prestigious Cond. 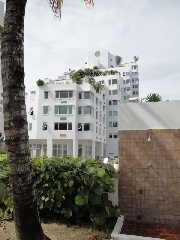 Playa Blanca, an architectural jewel in the heart of Isla Verde, Puerto Rico. Completely remodeled with the most exquisite taste and the most exclusive appliances (Sub-Zero). 2 bedrooms and 2 bathrooms, one with a beautiful jacuzzi. Read your favorite book and drink a glass of your favorite wine in its amazing terrace in a peaceful ambiance. Come see it and fall in love! Call for an exclusive appointment 787 306-3477. DAGPAIQARI is a Real Estate comprehensive list of property listings, commercial, residential, retail projects to buy or sell, in Beirut – Lebanon. Amaryl is a delightful apartment development situated on a quiet street in the popular Gap. 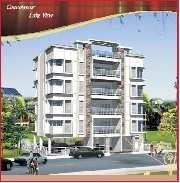 2 bedroom apartment in housing complex with the option to expand. Being offered for sale is this fantastic penthouse situated in the heart of Zona Viva in Guatemala City. Location, security and quality of finishes, make this penthouse appartment very unique. Custom designed, with no expense spared this Penthouse is now available for viewing to qualified buyers, by appointment only. Quiet garden apartment in arguably the nicest residential area in Old Montreal. Lower floor includes fireplace, bar with totally equipped kitchen, living / dining area and powder room. Situated in the heart of Montreal, the Mont-Saint Louis is one of the city's greatest buildings with an architectural history dating back over one hundred years. In the heart of the renowned Laurentian mountains, north of Montreal in Mont-Tremblant, experience one of Mont-Tremblant's most cherished real estate landmarks. ChÃ¢teau Beauvallon is only steps away from this extraordinary four-season playground. Experience the energy and excitement of the Tremblant village and resort as a romantic retreat, charming family getaway or beautiful lakeside oasis. A cosmopolitan elegance and refined lifestyle with superb townhomes, condominium homes and penthouses for sale in a one-of-a-kind residential address, at the heart of all the energy, excitement and "joie de vivre" that so defines MontrÃ©al. URGENT TO SELL!!! GREAT OFFER for a studio right on the beach. In the center of Acapulco, close to everything, restaurants, shopping, transportation, tennis and golf!!! Sitting on the balcony to relax and watch the always changing ocean view or going down to street level to be right in the middle of the ACTION!!! Simple living or rent it when not there. Luxury Apartment, 3 minutes away from the international border in Otay, Tijuana. Sell by builder 20 units built 2 left.